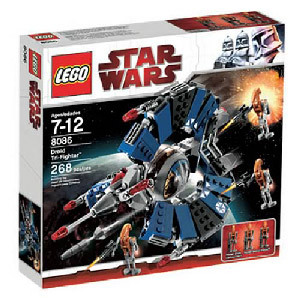 Description Of Item: Get ready to crush the clone army! These three droids and this giant starfighter are ready to take aim at the Grand Army of the Republic and leave them broken in the wastes of space. 268 pieces.